Welcome to June Lake! 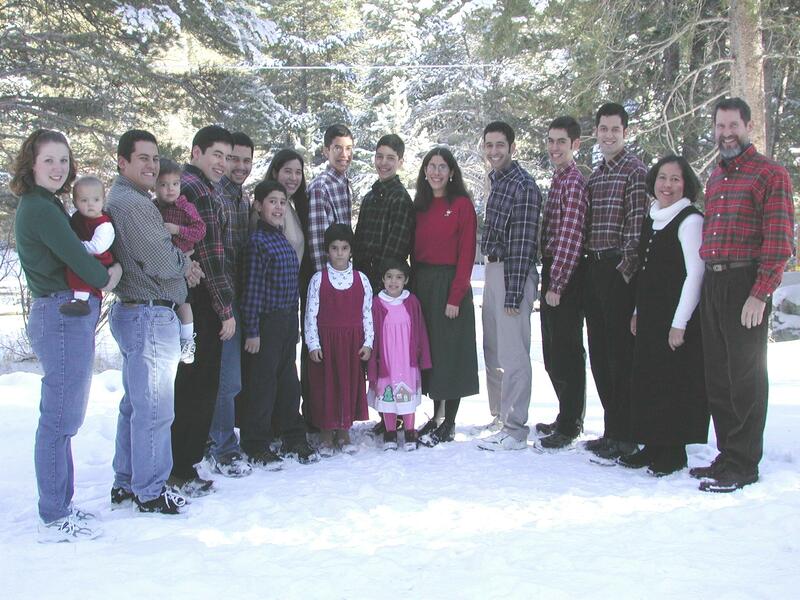 David and Denise Naaden of Reverse Creek Lodge and their 13 children (along with 3 daughters-in-law, 1 son-in-law and 16 grandchildren) believe that the June Lake Loop is California's pristine nature getaway. Nestled on the central slope of the Eastern Sierra Nevada Mountain range, the "Loop" possesses the breathtaking, unspoiled beauty of nearby Yosemite but without the congestion. Although, Mother Nature ages very slowly, and the "wear-and-tear" of time virtually goes unnoticed, this Naaden family hasn't. We are now in our 24th year in June Lake and as long as enough of our adult children return and stay home, we will continue operating this lodge! "How do you do it?" one might ask. The benefit of a large, homeschooled family has been the biggest part of our answer. The rest is answered by June Lake itself. We'll prepare one or more of our 17 housekeeping cabins for you and then let Mother Nature be your guide. 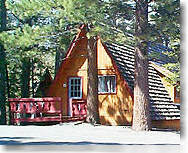 Our 16 mile Loop Highway (aka: CA Hwy 158) begins off Scenic Hwy 395 and returns to it. You will pass by 4 glistening alpine lakes, June, Gull, Silver and Grant, through the village, by the June Mountain Ski Area and through "down-canyon" where we are located. Hiking trails, boat/kayak rentals on all lakes, sites to see (short drives to day-trips), swimming at June Lake beach and still the largest activity for which the majority of our guests come to June Lake for.........fishing! Winter-time is filled with snowplay, from downhill at June Mountain or nearby Mammoth Mountain to crosscountry skiing, snowmobiling and sometimes even ice-skating. It does not matter the reason or excuse to visit June Lake, what you plan to do or not do, it is all about June Lake. Yes, we have WiFi and cable TV in all of our cabins, but it would be best if we didn't! You will only use your phone to send incredable pictures to family and friends not with you. "Our family welcomes yours!"